Let's talk a bit about heroes! At TownHall 7 (TH7), you get your first hero - the Barbarian King (BK). He can be upgraded to level 5, where you'll get your first gander at his "special ability", the Iron Fist. Commonly used when the BK is at or below half his health, you simply tap the BK icon in the troop bar a second time to activate the ability. He'll rage and several barbarians will appear to offer him additional support. It's pretty neat. At TH8, you can upgrade him another 5 levels to level 10; the next upgrade point for Iron Fist. TH9 allows you to upgrade both the AQ and BK as high as level 30. Level 30 heroes are formidable. At TH10, you get another 10 levels of upgrades, making the AQ and BK level 40. Lastly, at TH11 you get the Grand Warden (GW). The GW can be upgraded to level 20 and his special ability is the "Eternal Tome"; a several second shield of invincibility that is applied to all troops within his sphere of influence. Unlike the BK and AQ, which are offensive powerhouses, the GW is more of a support troop; he increases the lifeforce of troops within his area. He still shoots at stuff, but not with as great a degree of damage. Now that you have the gist of the heroes, the big questions that arise are how far to upgrade each as you go and just what are they good for? Let's start off discussing the upgrade path. Rusher or maxer alike, the heroes have a place in nearly every game strategy starting at TH9. They are most important at TH11 and are heavily used in clan wars from TH8 and forward. However, the BK and AQ take 7 days of downtime to level up starting at level 15, and so does the GW. Getting the BK and AQ to level 40 will require they be out of play for well over FOUR months. Upgrading your heroes becomes increasingly important as you progress through the upper levels. It's very easy to get the BK up to level 5 then level 10 at TH7 and TH8. If you participate in Clan Wars, you will start using the BK at TH8; at TH7, he really just bats clean-up, picking up on anything your regular troops missed. Some ground attackers may use him, but TH7 is largely dragon-based, so it isn't until TH8 that the BK starts to shine. 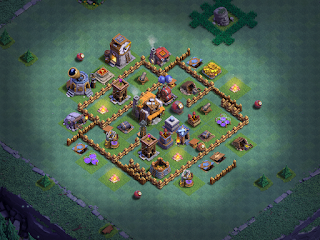 At TH9, however, heroes become a must for Clan Wars and useful for resource raids. You can still barch/bam/gibarch and get lots of loot just fine, but throw the heroes in there and you'll get more, plus you'll usually grab some trophies along the way. Early Clan Wars are manageable without heroes, although you'll typically only get 2 stars; if a 3 star win is your goal, you want at least one if not both heroes. This is why many players will alternate putting their heroes down, either 1:1 or every 5 levels. I usually focus on my AQ first, then alternate levels 11-15 between the BK and AQ, then work on each 5 levels at a time. The beginning of TH9 is flexible enough to support having the AQ down a few weeks while focusing attention on offensive upgrades. Clan Wars players know that, starting about midway through TH9, the AQ is needed at level 15 or higher to run the Queen Walk (QW) and participate in the opening kill squad attack for many attack strategies. Resource raids (farming) at TH9 can still be performed without heroes so they're less a factor. If you do not war, you can put both BK and AQ down for upgrade at the same time and complete the 20/30 levels of upgrades much more quickly. The next question most players ask is when to upgrade their TH level. Should you max the heroes before each TH upgrade? Is there a certain level for each that will work so you can upgrade sooner? Ideally, you want your BK and AQ to be level 20-25 before pulling the pin on the TH10 upgrade. If you are a rusher and not really participating in clan wars, you can get away with making the jump once both heroes are at level 15 or greater. Heroes at level 20-25 are solid, clan war capable heroes. Players who are simply running resource raids, do not need them so formidable though. The BK and AQ require a lot of dark elixir (DE) for later upgrades. Although there's lots of DE available at TH9, there's even more at TH10 and this makes the jump to TH10 very attractive to many players. Once there, it will be in your best interests to get both heroes in the mid 30s or, if possible to max them to 40. Why? Well...TH11 is the first TH level where the heroes are needed for resource raids. Yes, you CAN get resources at TH11 by running straight up Barch/GIBarch, and there are more premie games available now than when TH11 first hit the streets a year back, but the progress will be slow going and you will quickly hit the wall. TH10 upgrades are expensive; TH11, even more so. If you can have the heroes at level 40 before you go to TH11, you'll be happy you did it. If not, all is not loss. Just be prepared for a little extra work getting heroes upgraded at TH11. Heroes are weak until they hit level 5 and get their ability. From 5 to 10, they are still relatively weak when compared to their ultimate potential, but they have different uses by TH level and play style. For example, a level 5 queen walk is ok, but not too impressive or even effective. Level 10 BK is decent as a tank, but he still goes down relatively quickly (even at TH8), is not heavily utilized in most attacks, and seems to end up pounding away at something where he isn't needed. They really come into their own once you break level 10 for the AQ and level 15 for the BK. The queen walk starts to become effective at level 10 and the BK is a force worthy of notice at level 15. Until they turn 20, though, they're still baby heroes. From 20-30, the heroes are at mid-level strength and increasingly effective in kill squads, queen walk, etc. Once they hit level 30, they're fairly strong and although there's still a decent ways to go to finish them off, I think their impact to attacks (and defenses) remains roughly the same during the last ten levels. Much depends on how well the player wields them as well. I've seen some players use level 20 heroes to lethal ends while others can't do squat with level 40 heroes. Case in point - I have a rushed TH11 that runs mostly TH9 defenses and heroes that are just about in their teens. I maxed my infernos and the eagle artillery, x-bows are level 3, teslas are level 7, and walls are level 6. There have been many, many, many attacks on this game and they range from players with no heroes to heroes at level 40/40/20 (yes - all three maxed). Not surprisingly, players with heroes around 30/30/10 or thereabouts often outperform players with fully maxed heroes. There's much more to discuss around heroes, but that's a short overview. As always - feel free to search up my clan, Divergent Void (#P8CGRG0C) to check out the games and if you have any questions, drop me a line!